I don’t know what it is with Linux people, the idea that everything is best done via the command line is a big reason that so many people are put off making the switch. So I wanted to change my DNS in order to use UnoTelly which I’m reviewing. A quick search of Google yielded quite a few interesting results. The old way of using resolv.conf was the top matches suffice to say editing resolv.conf won’t work,and neither is creating /etc/resolvconf/resolv.conf.d/tail entries. Editing dhclient.conf secodes to work but it was unreliable with UnoTelly. Another option is adding lines to /etc/network/interfaces, or using dmasq, all of these options scary to most computer users. So how do we change the DNS without touching the command line or installing another app? 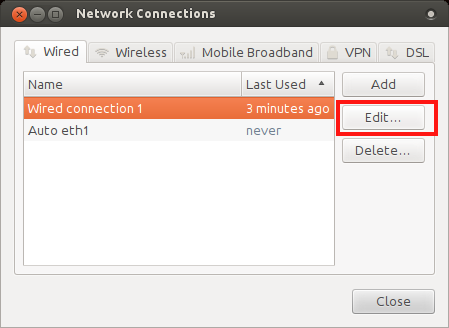 Click on the network connection applet in unity’s panel. Next click on edit connections. 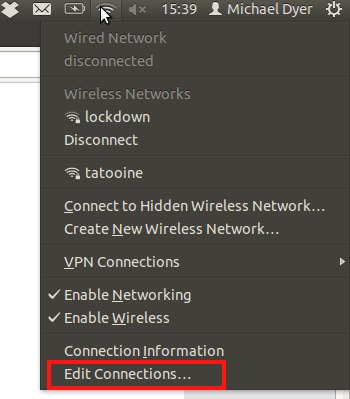 Now select your connection and click edit. 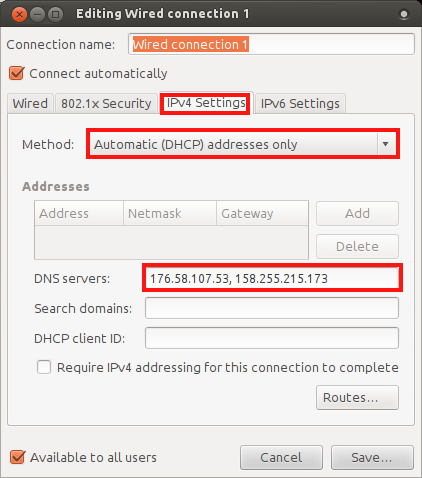 Select the IPv4 Setting tab and on the “method” dropdown select Automatic (DHCP) addresses only. In the DNS servers area type in the address of the DNS server or servers (comma separated). Click on save and don’t forget to RESTART for the changes to take effect. See easy as that no need to use the command line.